The September 13th, 2014 blog entry 'Eh?' discussed multiplication and the 'skip counting' of the "Common Core." 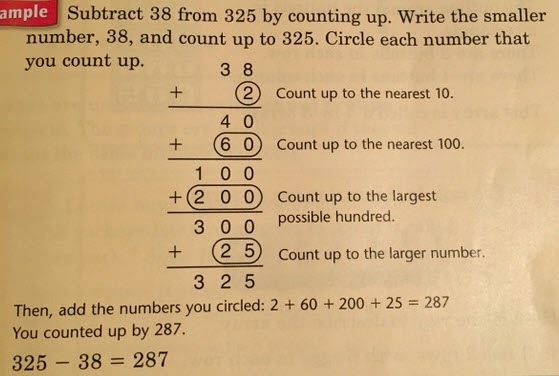 '6 Steps to Subtract 2 Numbers: Common Core Homework in 1 Photo' takes a look at subtraction by 'counting up. 'One wonders what the method is when subtracting a larger number from a smaller one!